What's The One Beloved Anime You Just Don't Get? 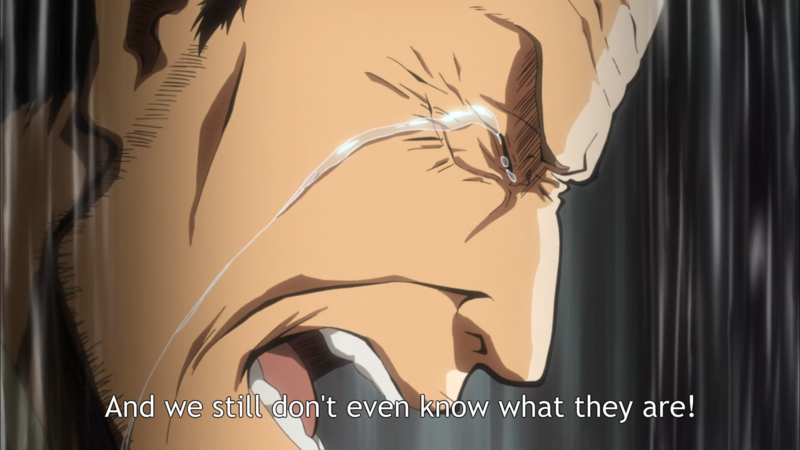 This question can be tough to answer: what's the one beloved anime masterpiece, the show or movie or OVA or whatever it is where you feel like you're the only person who just doesn't get it and didn't fall in love with it like everyone else did? Sometimes even saying the name of the big, huge, popular show you just don't jive with can get you in hot water, so we're making it safe to finally tell the world. Once you're done reading our critics' confessions, pop over into the forums and let it all out! 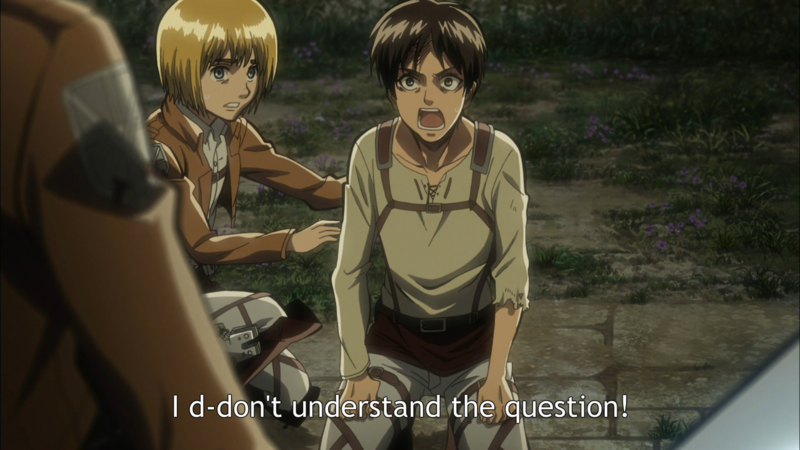 I could go into a variety of structural or genre-based reasons that Attack on Titan didn't work for me. The lengthy “put the rock in the hole” arc, for example - that one never really captured my imagination, nor did the “talk about stuff in the dust cloud” arc that preceded it. Or I could talk about the show's character writing, or the fact that its fundamental themes make me feel kinda queasy. 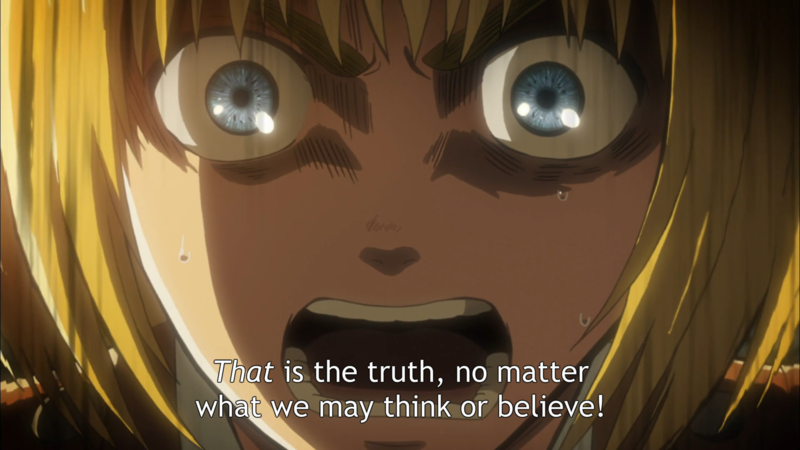 But I've definitely enjoyed shows with weaker arcs and iffy writing before, and those probably aren't the real reason Attack on Titan does so little for me. In the end, it comes down to Tetsuro Araki, the director, also responsible for Death Note, Guilty Crown, and the currently airing Kabaneri of the Iron Fortress. The complex and critic-sounding way I'd explain my issues would him would be that his works exist in an emotional cadence I find very ineffective - not only is his default tone just not at all my kind of thing, but it's also his only tone, and I believe that it's through emotional variance that you create drama that actually works. But to cut that down to a single word? It's the yelling. Why is this guy yelling? Am I supposed to feel sad, or terrified, or what? Wait, now the screen is yelling, don't you start with me. Why is this guy yelling? 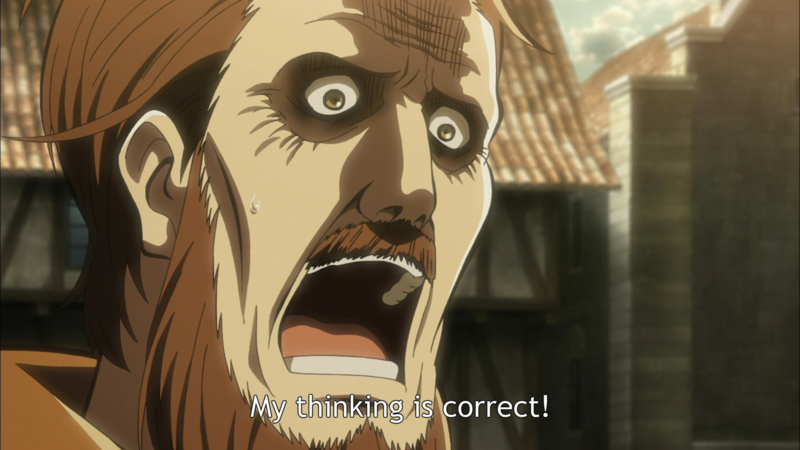 Okay, he thinks the person in the dust cloud is a titan. Wait, why are you yelling? Hold on maybe you're not yelling, maybe that's just your face. Why are you - alright, don't get smart with me, yelling man. Okay, you are definitely yelling, and I have had it up to - no, don't turn on the yell-music, that just makes it worse! 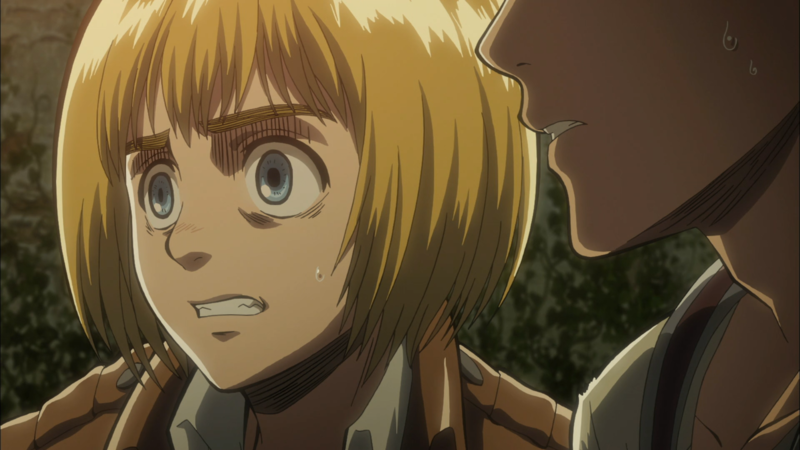 Attack on Titan yells every emotion it contains, and frankly, there are people trying to get to some sleep over here. 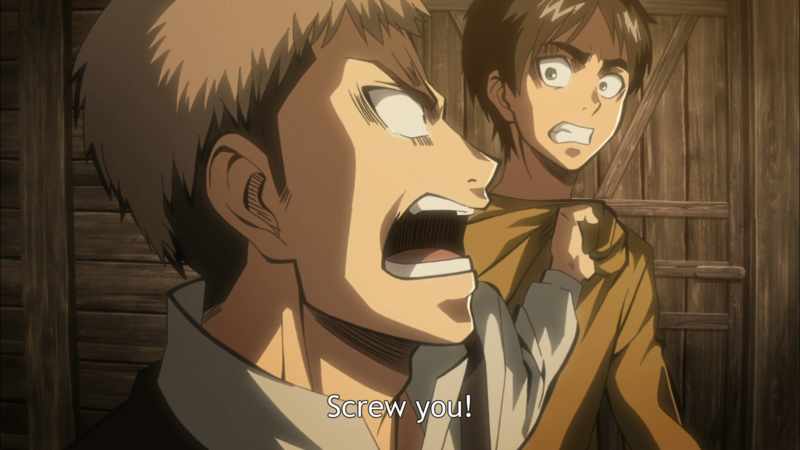 Don't make me call the cops, Attack on Titan. And don't try and get me invested in your emotions if you're just going to yell all of them in my ear. Trying to watch Sailor Moon for the first time in my early twenties might have been a mistake, but I definitely know why I waited that long to bite the bullet. Since I was born in 1990, and Sailor Moon aired in 1995, I was just at the very tip of the "too young to really follow or appreciate Sailor Moon when it first aired" cutoff, and I had already become obsessed with the collectible monsters side of anime instead by the time the show experienced a resurgence on Cartoon Network in 1999-ish. I wouldn't take much interest in media I perceived as "too girly" again until high school, at which point I wasn't really watching shows aimed at children. So the Sailor Moon phenomenon just kept dodging around me until the tidal wave of "Remember The '90s?" nostalgia finally began crashing down full force in the early 2010's. I distinctly remember Sailor Moon being one of the most ubiquitous images of the resurgence, right behind pictures of Rugrats and Pogs. I was also gaining a larger internet presence as a critic around that time, so I got asked about Sailor Moon pretty frequently. I felt bad for not having an opinion one way or the other, but getting "into" Sailor Moon seemed too daunting in Japanese and too painful on the ears in English. So when Viz announced an upcoming re-release of the entire original series with a brand new dub, as well as a way to experience the original manga's story through Sailor Moon Crystal, I was stoked! Soon my greatest otaku oversight could be corrected, and I might even find a new favorite show to love! I was a massive fan of one of its directors, Kunihiko Ikuhara, and I enjoyed initial director Junichi Sato's later work too. Unfortunately, after many episodes of both the bland-but-manga-faithful Sailor Moon Crystal and the colorful-but-uneven original series, I wasn't feeling the love at all. I think the more innovative magical girl series that followed in Sailor Moon's footsteps spoiled me on a broader potential for the concept that I wasn't going to get from Usagi and friends. For one thing, the show is very clearly aimed at little girls, and while there's absolutely nothing wrong with that, I couldn't get a great deal out of its Barbie-and-Polly-Pocket-audience conflicts that repeated episode after episode. Fans tend not to mention how front-loaded the original series is with Saturday morning-esque lesson-at-the-end-about-vanity-or-jealousy filler, but boy is it ever! The interesting villains and Haruka-Michiru dynamic that most Moonies moon over are eons away from the place the show starts, with episodes more reminiscent of My Little Pony if it were slightly cattier (and I don't mean Luna) and much more interested in boys. And that was the other big problem. I know Usagi's relationship with the other sailors was transformative for a lot of girls who saw the show as children, but as an adult, it just reminded me of a thousand other "girls who are supposedly friends but spend most episodes getting mad at each other over petty misunderstandings" cartoons I had seen before. After a couple dozen episodes, I sadly decided to throw in the towel before even getting anywhere near the Ikuhara content. I was too old for at least the first season of Sailor Moon. Its girls-as-superheroes premise may have been more exceptional for America in 1995, but it feels like cartoons for girls have grown a lot since those days. Still, I would take a dozen more episodes of the original series over the latter episodes I saw of Sailor Moon Crystal. While the remake's first season was mostly just boring mush, the second season took a turn for the stomach-turning with the introduction of Chibi-Usa and the incredibly baffling "threat" she posed to Usagi and Mamoru's relationship. Our poor heroine had already become increasingly unpleasant in her rote portrayal of as bland-and-obnoxious-yet-special-chosen-one-apparently. I didn't find her instant friendship with the other unexplored girls very convincing, and she was considered "heroic" mostly for running a sword through her heart to save her magically-turned-evil-by-a-cackling-witch boyfriend, but her regression to an insecure ball of rage at her own future child for taking her boyfriend's attention away from her just plain broke my brain in its twisted bad-romance-novel logic. By the time Mamoru decided to reassure Usagi that their future daughter would never take her place in his heart by getting freaky without exactly asking first, I was extremely done. Feminism can be a tangly briar patch of differing opinions, but from my own personal perspective, Naoko Takeuchi has really bizarre gender-essentialist ideas about women and what kind of power they do and don't have that made enjoying her version of Sailor Moon a non-starter for me. (I've read the manga-to-Crystal comparisons, and most of the stuff I take issue with is also present in the original material.) In a post-Utena world, I'm afraid Sailor Moon just isn't for me. Viz's new dub was stellar though! I enjoyed the unique flavor they brought to Sailor Moon and friends a lot more than I liked the show underneath it. When the series developed a very passionate fanbase, I couldn't help but feel left out. While I won't say I disliked the series, I never quite understood why it was this popular. Although it did an admirable job of combining so many seemingly disparate elements, there are two things that prevented me from fully embracing it: Haruhi's relentlessly abrasive personality and Endless Eight. I don't need all the characters in shows I watch to be likeable people (long-time readers know I love Gintama and Mr. Osomatsu), but Haruhi Suzumiya rubbed me the wrong way. She's take-charge to a fault. Nearly every story involves her forcing her peers to take part in her schemes despite their trepidation, indifference, and/or initial refusal to do so. I know the audience is supposed to believe that, deep down, she truly cares about her comrades in the S.O.S. Brigade, but I rarely got that impression. All things considered, she's one of the most self-centered protagonists I've ever come across. I know there wouldn't be a show without her, and her abject selfishness is mostly played for laughs, but I found her grating. In fact, her absence from the first two episodes of The Disappearance of Nagato Yuki-chan made me like the show more. Unfortunately, once Haruhi reappears, she largely becomes the central focus. Endless Eight was Groundhog Day done wrong. So wrong. 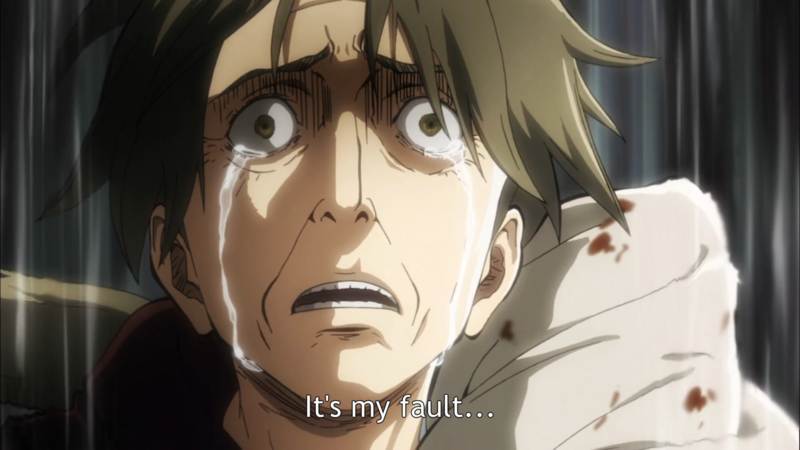 I actually gave up watching this arc about four episodes in—although I did tune back in to see the labored conclusion. I would have loved to have seen eight different takes on the same day—different choices leading to different outcomes—but essentially showing us the same episode multiple times is a creative risk that did not pay off. If the goal here was to be surreal and avant-garde, the staff certainly succeeded. However, in my opinion, they did so at the expense of entertainment. I've been an anime fan for around 20 years now, and for this entire time, Ghost in the Shell has always felt like one of those franchises you're supposed to like if you're a Western fan, like Cowboy Bebop or FLCL. If you stood around a group of anime fans in 1998 and someone said they didn't like Ghost in the Shell, the room would go silent, their mouths agape. How could you not be in love with what was clearly the pinnacle of anime, a pulse-pounding cyber-slam like nothing you've ever seen before? Well, it's easy, really: that pulse-pounding cyber-slam didn't make me feel anything. Mamoru Oshii is a certified genius – he is an exceptional filmmaker, responsible for some of the most universally praised, carefully constructed and brilliantly baffling art films we've ever seen in this medium, and he deserves my respect and admiration for that. It's a shame then that all his hifalutin’ ideas about “THE BOUNDARY BETWEEN MAN AND MACHINE, WHAT IS A SOUL?” in Ghost in the Shell are presented by characters that speak almost exclusively in monotone and have absolutely no expression other than “serious”, “concerned”, “getting a little angry” and “deep in rumination about this dark cyberpunk future we live in”. For a movie that presents itself as being fundamentally concerned with the business of being human, Mamoru Oshii doesn't seem to have much use for the thing that many people identify as the #1 indicator that you're alive, which is “having emotions”. I'm not saying I need Kusanagi to burst into melodramatics every time she confronts some living allegory for the growing dissonance between mankind and technology (although one or two would be nice). All I'm asking for is that this grand, expansive sci-fi commentary on the nature of the soul maybe draw some distinction between the cold, emotionless robot thinking of our artificial progeny and the supposedly living, breathing, still-mostly-human characters we're asked to identify with. Oshii's dedication to low-tide emotion unfortunately persisted throughout the rest of the franchise – I didn't find the characters to be leaping off the screen and into my heart during Stand Alone Complex or ARISE either – but I don't think I'm ready to give up yet. I'll keep coming back to you, Ghost in the Shell, hoping, waiting that one day you'll do something that will light the fire in my heart and I'll suddenly be able to see past all my issues with your characters and love you like everyone else does. I have a tortured relationship with CLAMP. I definitely went through a phase where they were the Best Thing Ever and obsessively read every single title I could get my hands on. And then my senior year in college something…happened. I don't know what it was, but I'm going to have to credit my friend Jessica with handing me back a volume of X/1999 and saying, “You know, I think when they do the Fool card, it's just going to be a mirror, because we're the fools for reading this for so long.” And all of a sudden, it hit me: it was kind of a dumb series. But, my brain said, Tokyo Babylon was amazing! It made you cry! And you choreographed your junior group dance exhibition to a reading of the French edition of Clover volume 2! This is all true – Tokyo Babylon was the first manga that made me cry and I did choreograph a ten minute piece to a recording of volume two of Clover’s French edition. (Should I still admit that?) But…I didn't really enjoy anything else they had written, Magic Knight Rayearth excepted. Confused, I continued to read CLAMP series as they came out, convinced that one would reignite my passion for them. And then Tsubasa Reservoir Chronicle appeared. At last, I thought, a series that will fix my problems. They're going back and reworking their own stories, playing with them to find resolution to issues they created! I will love CLAMP unreservedly again. Everything I heard from friends and other manga fans seemed to agree with my assumption: Tsubasa was lighter, funnier, and took doomed characters and made things like the non-endings and the senseless tragedies okay again. Happily, I dove in. But…it didn't really go anywhere. Where was my “Sakura and Syaoran finally really get together?” Where was Kotori? What the hell was going on with the goddamn vampires?? AND WHERE WAS HOKUTO??? Why rework the old stories if you're not going to bring back the best character you ever wrote??? The story felt (and continues to feel) like a total mess to me – just CLAMP playing in their own sandbox with their own toys and not letting anyone else know what the game is. By the time doubles and androids and Watanuki and who knows what all else came in, I was so confused and annoyed that I just didn't care anymore. I did finish the series, because I'm annoying to myself that way, but it was with a senseless, burning rage at how CLAMP, idols of my early fandom, had betrayed me. I should be clear about one thing up front: I do consider Grave of the Fireflies to be a masterpiece. It's just too well-made in almost every aspect to deny, and I did give it very high grades in review a few years ago. That being said, I have never gotten the emotional connection out of it that a lot of people do. 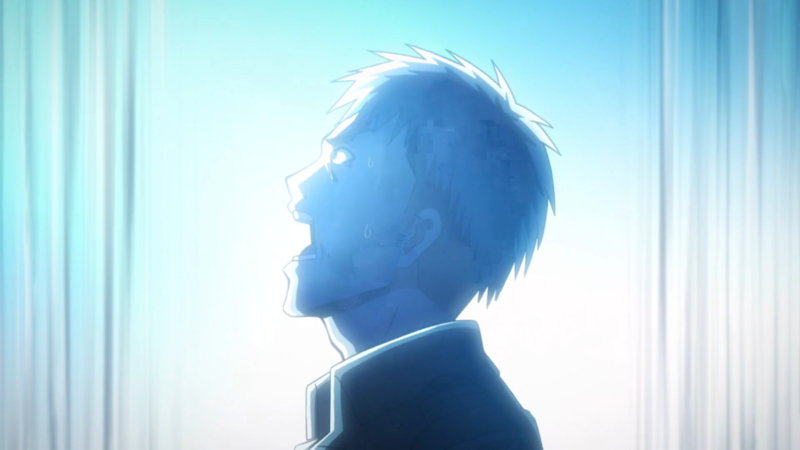 In fact, I don't think I've even come close to shedding a tear any of the three times that I've seen the movie over the years, and it's not that terribly hard for anime to get me misty-eyed. It's not like I can't understand why it brings other people to tears; after all, it is a poignant tragedy. However, it doesn't work for me in that regard. And I'm pretty sure I know exactly why it doesn't: while I do see the movie as a tragedy, I think I see it as one for different reasons than most people do. Seita and Setsuko having to watch their mother die from the bombing raid, and then both eventually dying of malnutrition themselves, is sad to be sure, but for me the real tragedy here is that the latter two were stupid, probably preventable deaths, ones borne even more from pride than from difficult circumstances. Each time I watch the movie, older brother Seita's behavior galls me. He set out on his own with Setsuko not because he had to, but because he wasn't willing to put up with his aunt's nagging. Yes, she may have been a bit mean, but she wasn't being abusive or entirely unreasonable. Seita was in a tenuous situation, but he and his sister could have had relative security if he had just bit the bullet and did what his aunt wanted. He didn't, and even passed up a later opportunity to swallow his pride and go back when they were in trouble, and that ultimately ended up killing both of them. So yeah, this movie makes me angry rather than bring me to tears, and its condemnation of war actually has nothing to do with that.